Hello! Today I am doing the impossible and appearing in two places at once! Yes, isn’t the blogging world great? 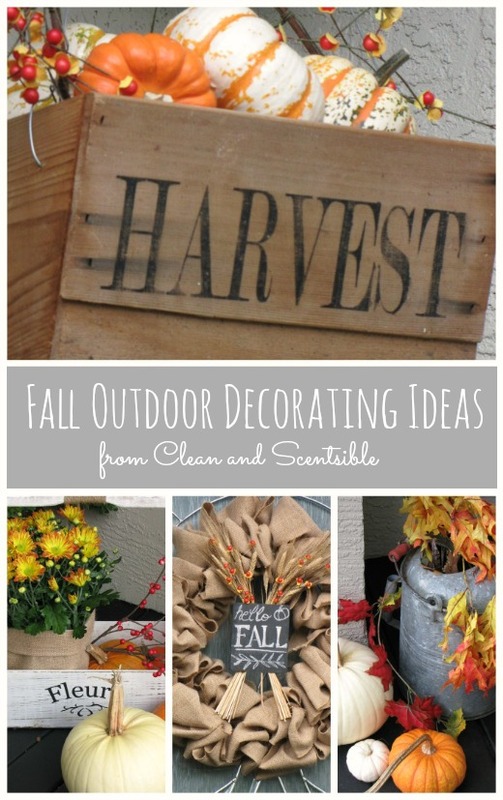 I will be showing you our fall front porch here and also sharing the tutorial for our burlap wreath over at Design, Dining, and Diapers. Taryn has been taking a bit of a blogging break from her beautiful blog to spend some extra time with her new little guy and I am thrilled to be able to visit her. You will definitely want to take some time to drop in and have a look around! See you over there! 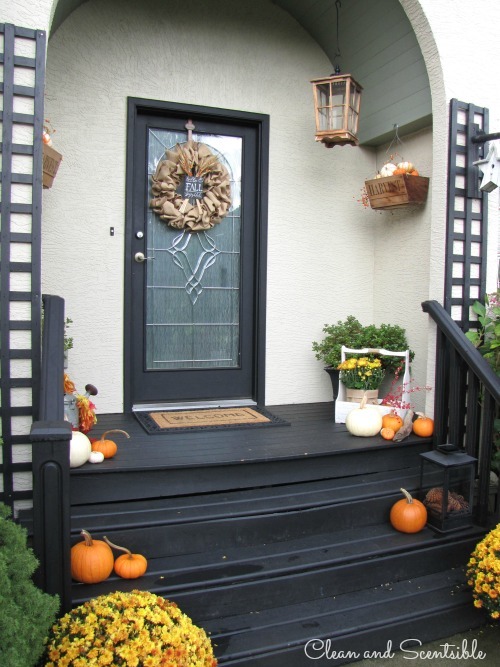 So now that you have seen the wreath, here is the rest of our fall front porch. While I still have to say that summer is my favorite season, I sure do love decorating for fall! There is just something about all of those fall colors and textures …. 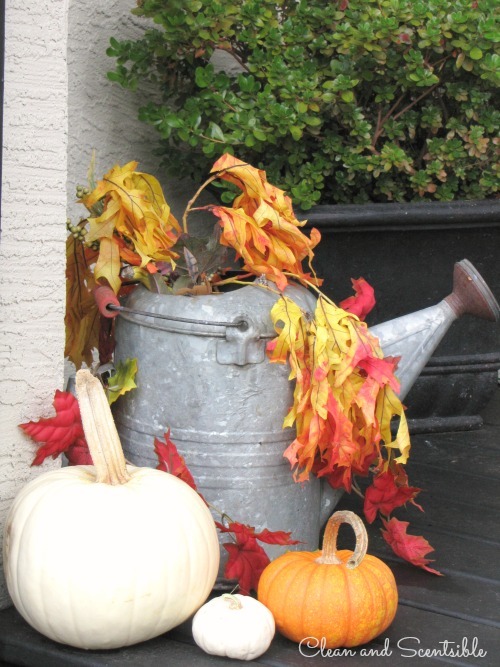 Mums, pumpkins, gourds, colorful autumn leaves – I adore them all! We picked up a variety of pumpkins a couple of weeks ago when we were out apple picking and they quickly transformed our porch from summer to fall. The flowers from our hanging baskets were removed and were filled with some colorful pumpkins, gourds, and berry twigs. I just used some acrylic paint and a stencil made from my Silhouette machine to add the ‘HARVEST’ to the front. Our watering can was filled with some oak leaves and a few extra pumpkins also gathered ’round. I guess fall is not so bad after all. 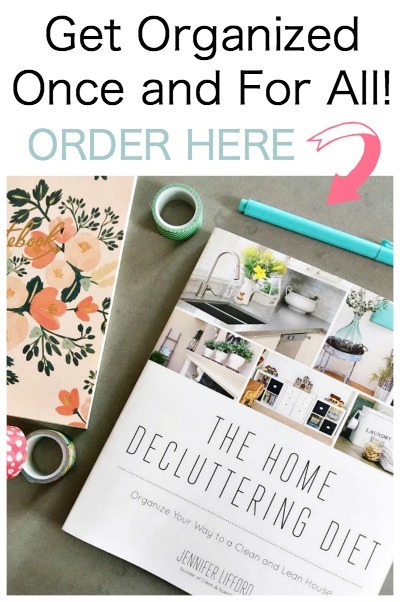 I linked up with Home Stories A to Z, Uncommon, 30 Days, Stone Gable, Savvy Southern Style, Jennifer Rizzo, Under the Table and Dreaming, Liz Marie Blog, Live Laugh Rowe, I Should Be Mopping the Floor, Funky Junk, Lil Luna, Design Dining and Diapers, Tidy Mom and The Frugal Girls. It looks great. 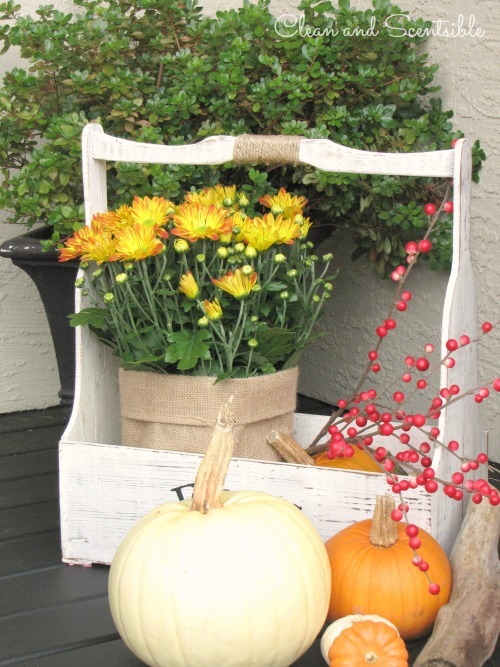 I love the mums and pumkins, definitely makes it feel like fall. Going to check out the wreath – love it. Thanks Kathy! 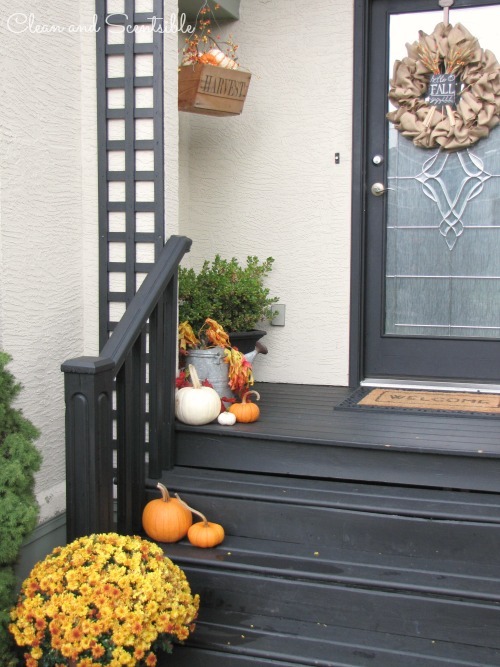 Love fall decorating! 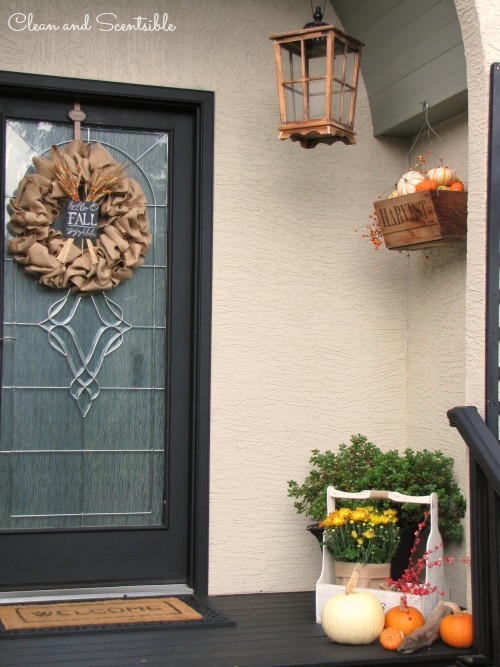 Lovely front porch Jenn, and I love your wreath! 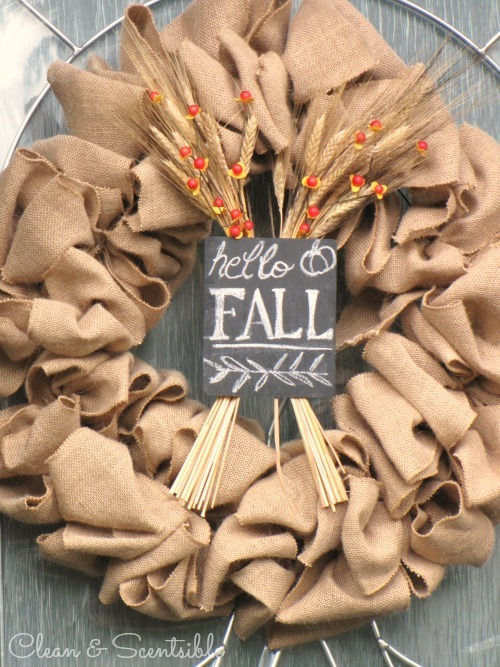 Decorating for fall does help with the transition out of summer… It is always hard to say goodbye to it! I love your new look!!! Lovely wreath and frame! How pretty! 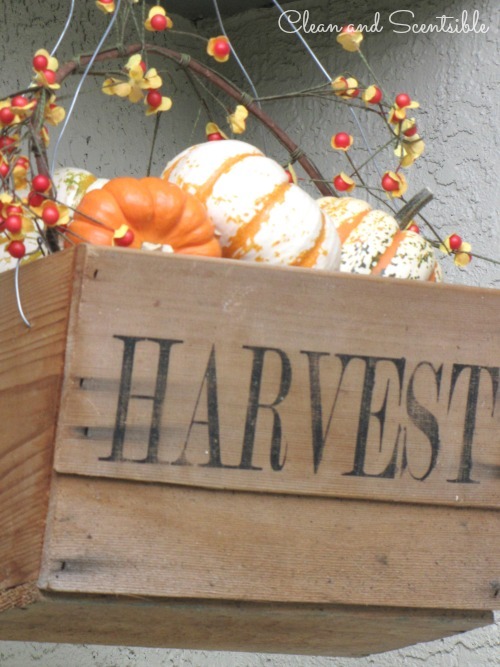 I love the “Harvest” wooden box – beautiful!